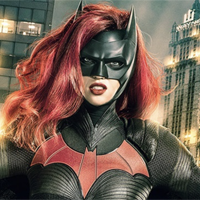 Showing 1 - 15 of 19 articles tagged "Batwoman"
Berlanti offered some details on The CW superhero pilot starring Ruby Rose and written by Caroline Dries. The iconic character does exist on The CW pilot's universe -- or did exist. Last month, the Arrowverse crossover released a picture of Rose in costume from a photoshoot.